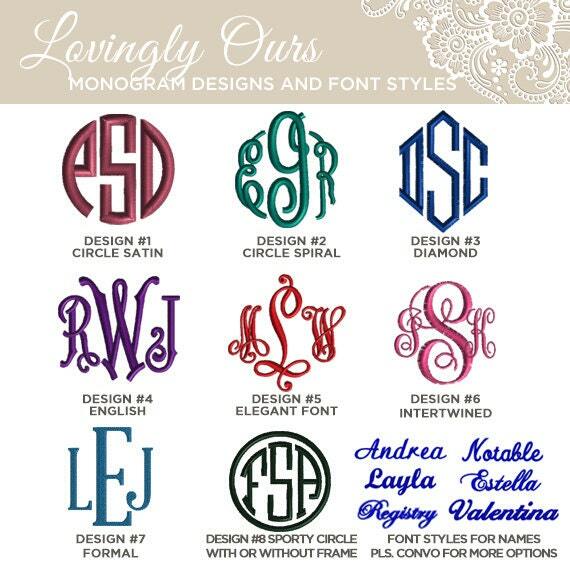 Great bridesmaids' gift! 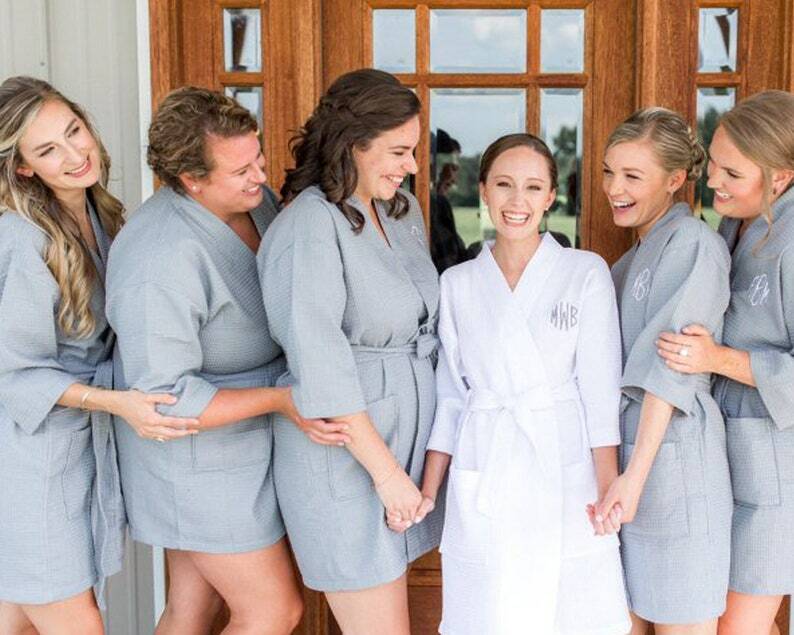 Our personalized monogrammed waffle weave robes make for a great wedding gift for the bridal party! Perfect gift for the bride at her bridal shower, gift for bridesmaids to get ready with, wedding gift for the mother of the bride, mother of the groom, bridesmaids and flower girls! It is a thoughtful and practical gift that everyone can use for years after. 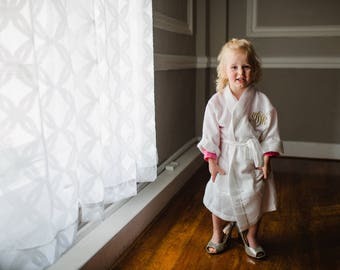 The light and comfortable short kimono waffle weave robe with embroidered monogram or name is rolled and wrapped individually in a clear bag so it's ready to give as a gift.